Now on to the real post! Check out the post Changing Goals for the New Year for advice on setting goals and discover my own goal-setting pitfalls. Today I’m posting my goals for 2013, but I have to add a caveat. I’ve already changed my goals several times since the beginning of the month. It’s taken me almost the entire month to quit waffling on where I want to go and how to get there, but I think I’m finally set on where this year is taking me. Tax class in February from Colorado Romance Writers. So that’s it. I’ve slimmed my goals down and streamlined my writing goals. B&B will be written this year, I’ve put it off long enough. And I’m excited to be releasing Snow and the Seventh Wolf this month. Check out Thursday’s post for details and how you can win a review copy. 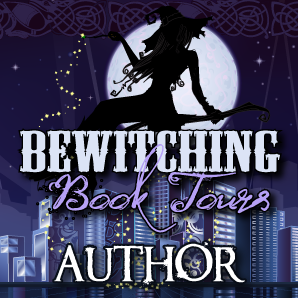 Want to see where my blog tour has been this week? Check out the entire list HERE and find out! One question. What is B and B? A liqueur? Haha! No really what is that title? I like you! I’m sure we’ll both go “duh” when Jessica tells us. Maybe for now we’ll call it Bread and Breakfast. Does that work for you?? Have two books to pitch at Nationals, get my abs back, get back on my cardio workout routine, and set up regular blog posts. I will put specificity to those today this week. Great goals, and simple.I should have added KISS (Keep It Simple Stupid) to my last post on goals when setting SMART goals because if you only have a few goals it makes it much easier to achieve. Go get those abs! You are so right, Jessica. It’s never too late to set goals. Key is to keep track regularly, revise when necessary, and shape activities to meet the goals. Exactly. Not that I always manage to do all of those, but I think as long as we strive in that direction. Especially the revise when necessary, that was my lesson from last year! Oh I always revise, and revise, and revise again. It’s so hard to stop!